We always hear that the content of a website is the key to its success. Without good articles, news, blogs and similar items, a website is doomed to fail. But what about the graphics? How important are they to the overall success of a website? Let’s look at an example. When you are surfing the internet and you come across a website, what makes you decide whether to stay or carry on surfing? If a website uses neon colors and flashing banners to try and catch your attention, the chances are you will click away quickly. But if that site is well presented, with a good mix of graphics and text, you may well stay for a closer look. Content is important, but the graphics help to balance out the text, breaking it up and making it more readable. They also support the text – so they shouldn’t just be there for the sake of it. 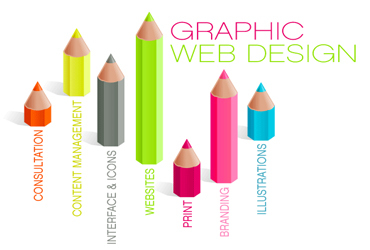 All good graphics have a purpose, which is to draw the casual surfer in and get them involved in the site – and preferably encourage them to order something. Graphics can create a compelling image and persuade a surfer to buy your product. Think of ‘Buy it Now’ buttons, for example. These sometimes appear with the graphic of a mouse arrow over the top of the button, prompting the surfer to click onto the next page to make their payment. Graphics can also make all the difference between a sale and a near miss, especially when it comes to products like e-books. Because e-books are downloaded straight to the buyer’s computer, there is no eye catching cover or real solid product to show the purchaser. This problem is solved by creating a graphic of a book which has a stunning cover to promote the product itself. The color of this graphic often matches the overall color tones of the whole website – especially if used on a so called ‘mini site’, which promotes a single product only. Competent graphics can also help surfers navigate a website, as they can indicate pages of interest, drop down menus, new products and much more. In short, even though text is important, a website with huge chunks of text and little or no graphics will not attract many visitors – at least not those who stay for any length of time. Conversely, an attractive looking website which has a nice balance of text broken up by graphics will keep people browsing for far longer – and the longer they stay on the site, the more likely it is that they’ll come back again.